Native Instruments have just released a software update for our favorite beat-making device Maschine. The Maschine 2.2 software update allows for full and seamless integration with the recently reviewed NI Komplete Kontrol S-Series Keyboards, touch sensitive controls for the Maschine Studio knobs, and new scale and Arpeggiator modes to open up new creative possibilities. knobs, and new scale and Arpeggiator modes to open up new creative possibilities. I&apos;ve personally already tried using the Maschine Studio with the Komplete Kontrol S49 keyboard and I&apos;m happy to report that it all works very easily and seamlessly. I&apos;ll complete a quick video showing you the possibilities and results of this integration very soon. The Maschine 2.2 update also takes the same (or very similar) Scale and Arpeggiator modes that we checked out on the Komplete Keyboards and applies them to the Maschine environment. 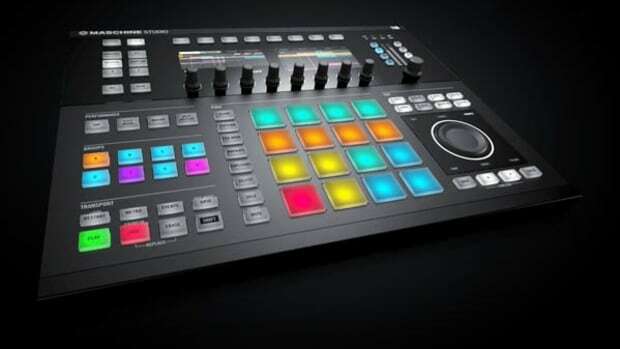 The Maschine Studio also has the same touch sensitive knobs that is found on the Komplete Keyboards and now the new firmware also activates the touch sensitivity on the Studio so users can adjust certain sound attributes easily. Controllers to see the powerful production tools in action. Late last year, we reviewed the new Native Instruments Powerful tools that allow producers to make music of all styles and genres. 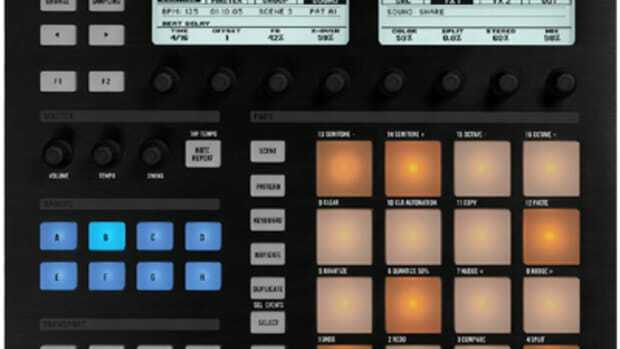 The Native Instruments Maschine Studio easily allows users to bang out beats on the drum pads while the Native Instruments Komplete Keyboards made it simple to add a melody to the rhythm. 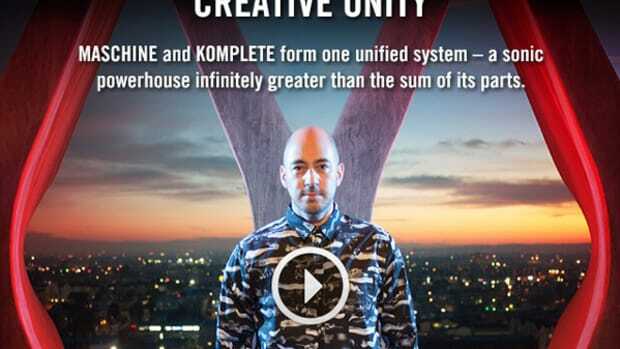 Now Native Instruments has integrated the Maschine Studio with the Komplete Keyboards to make an easy and intuitive workflow for production. 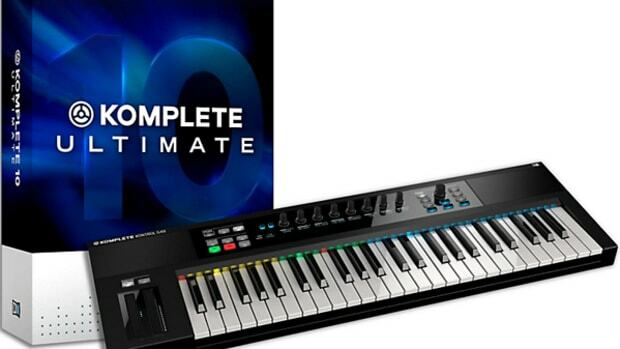 Native Instruments has just launched the Summer of Sound Sales Special which offers certain product owner's 50% off sales specials of new software plug-ins, upgrades, and crossgrades including KOMPLETE 10 and KOMPLETE 10 ULTIMATE production suites, as well as the MASCHINE 2 software update. The SUMMER OF SOUND special runs from now until June 30, 2015 at the NI Online Shop and at retailers worldwide while supplies last. The world famous band Maroon 5 uses Native Instruments Maschine hardware and software to make lots of their music. Check out this quick video and press release showing the NI team interviewing Maroon 5 as they go to the Conway Studios in Hollywood to watch the band make some magic. Happy Thanksgiving to all who celebrate the holiday... 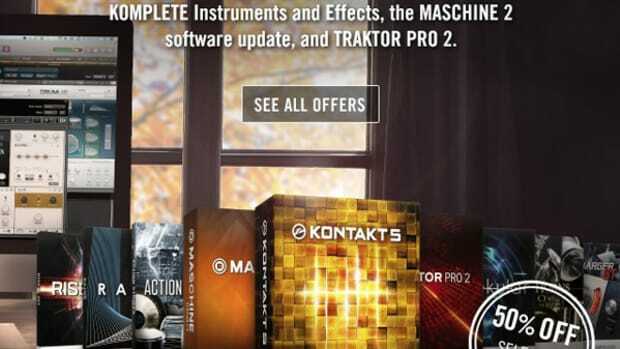 Native Instruments has decided to show some love by giving 50% discounts on select Komplete Instruments, the Maschine 2 software update, and the Full Traktor Pro 2 software for the next five days! We recently reviewed the Komplete Ultimate software and the Maschine Studio with the new update as well with excellent results. Take advantage of these savings soon as these deals end on December 1st. Native Instruments has just announced their new flagship Production hardware, the Maschine Studio, and new software, Maschine 2.0. The new Maschine Studio hardware is bigger than the original and provides best-in-class control with two new hi-res color displays, a new edit section with a large jog wheel, and responsive 16-multi-color backlit pads. The Maschine 2.0 software provides lots of improvements to the user interface and works better and faster on all three Maschine Production devices. We have a new Maschine Studio in the DJbooth.net lab for the full video and written reviews which will be available shortly. Check out the unboxing & first impressions video to see all that comes in the package. Native Instruments has just released MASCHINE 1.6, a major FREE update for its acclaimed groove production studio platform. With the addition of plug-in hosting for instruments and effects, the new version significantly expands the scope and functionality of the original system. Be sure to check out our complete written review on the Machine and check inside for videos on the new features of the MASCHINE 1.6. Our good folks over at Native Instruments just keep the updates coming! This time they have introduced a new series of Maschine Expansions which are high-quality download libraries for the new Maschine production system. All of the new expansions will provide new sounds and patterns to get your studio bumping. The new Series are called Vintage Heat and Transistor Punch which were created by Goldbaby and Surround SFX. More details inside. We recently reviewed the new Native Instruments tools that allow producers to make music of all styles and genres. 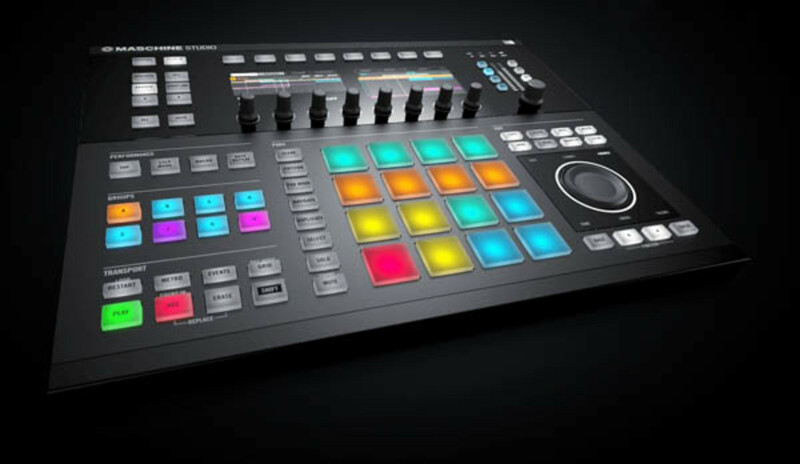 The NI Maschine Studio easily allows users to bang out beats on the drum pads while the NI Komplete Keyboards made it simple to add a melody to the rhythm. Now NI has released the new Maschine 2.3 and the Komplete 1.1 updates that will make workflows easier and give producers a head start when making new music.